Chickens make wonderful pets, and Melissa Caughey (author of the award-winning blog Tilly’s Nest) provides all the information kids need to raise healthy chickens and have tons of fun doing it! Caughey shares her advice in an engaging way so that kids understand what it means to keep chickens and what kind of housing, food, equipment, and care the chickens will need to thrive. She also suggests lots of creative activities sure to spark enthusiasm and imagination, such as speaking chicken, creating a veggie piñata for the flock, and making a chicken fort in the backyard. She even offers ten egg-centric recipes that kids will love to make and eat, including egg drop soup and Mexican egg pizza. My thoughts...really enjoyed reading this with my almost eight year old son. I would say the book is more geared toward a slightly older audience (maybe 12), but a really great guide for anyone. Easy to read and so much information. Even though there is a lot of information it is put together in a really user friendly way. From how to set up a coop, ten best breeds for kids (and why), if your chicken gets sick, to even how to set up an incubator. I loved the fun recipes for making treats for chickens, chicken crafts for kids and egg recipes! We've had chickens for a few years, but I found some great information. I'm excited about making a chicken fort for our backyard and seed rolls for the chickens! 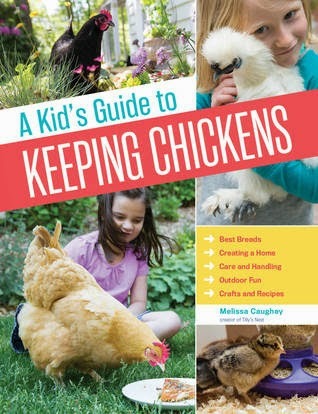 I am highly recommending A Kid's Guide to Keeping Chickens (for adults and or kids!). 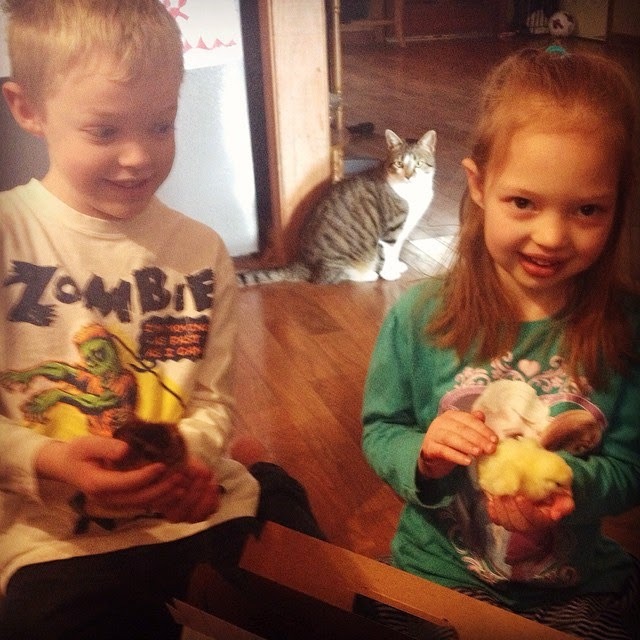 my kiddos with their chickens. As of December 1, 2009, According to The Federal Trade Commission (FTC), product reviewers on blogs must disclose whether they received products for free or received payment for their review. The books I review on this site (A NOVEL REVIEW) are sent to me by publishers, authors or downloaded from Netgalley. This is a very common practice. I never take payments for these reviews and all the reviews on this site are my own thoughts and feelings and are not influenced.